in her parents home in Darjeeling, India. a term at a finishing school in Auteuil. that would later bring much fame. - notably French and German. talented and glamorous actresses the world has ever seen. that set her apart from all the other actresses of her time. with great insecurities in real life. She was a much better actress than she was ever given credit for. 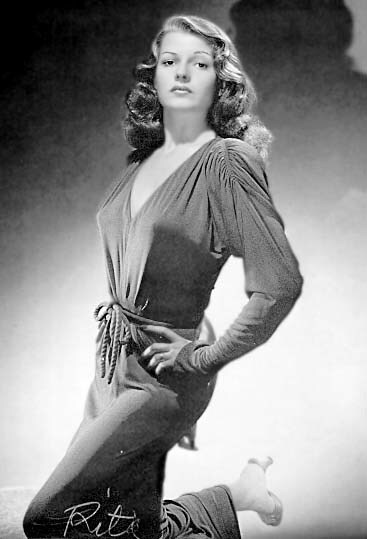 "Rita Hayworth" image she brought to life. in films like The Loves of Carmen and Miss Sadie Thompson. into one of the greatest Hollywood legends of all time. while staying at her aunt's in Teignmouth, England. a charm and intelligence Vivien found captivating. on December 20th 1932, at St. James's Cathedral. in a new film entitled Things are Looking Up. her first film, Things are Looking Up. her one line of dialogue was cut from an already small role. starring a popular new stage actor, Laurence Olivier. intrigued by his good looks and stage presence. her new matinee idol were already married. 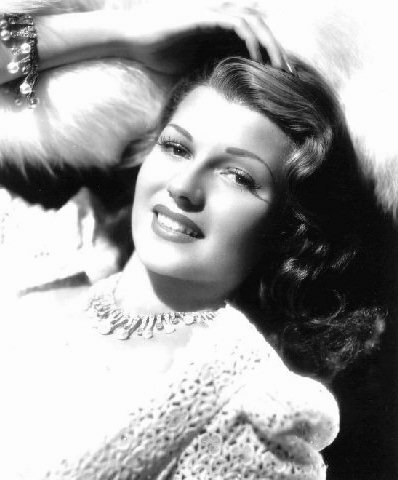 she was known as "Rita Hayworth". her most frequent being Charles Quigley. Convicted were some of these "quickie"
productions in which she starred. the reigning queen of Columbia Pictures, Jean Arthur. was a major box office hit and Rita's best film to date. It gave a huge boost to her career. and she performed in a few more plays of less importance. at the trendy Savoy Grill in London. Alexander Korda, Fire Over England. on an important mission for the Queen. the Queen's lady-in-waiting, and his new found love. and their relationship grew stronger. 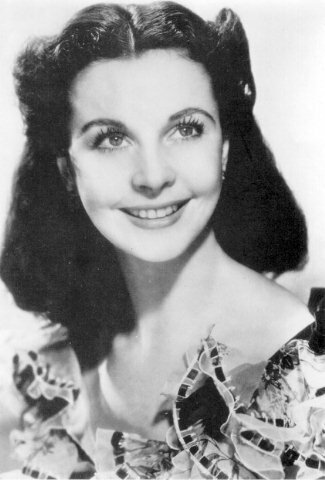 she was to be considered for the role of Scarlett O'Hara. The Divorce of Lady X with Merle Oberon. in a Hollywood production of Wuthering Heights. November 5th 1938- Vivien's 25th birthday. Saturday November 27th for a two week trip . of publication and won The Pulitzer Prize of 1937. Hollywood to visit Laurence Olivier. 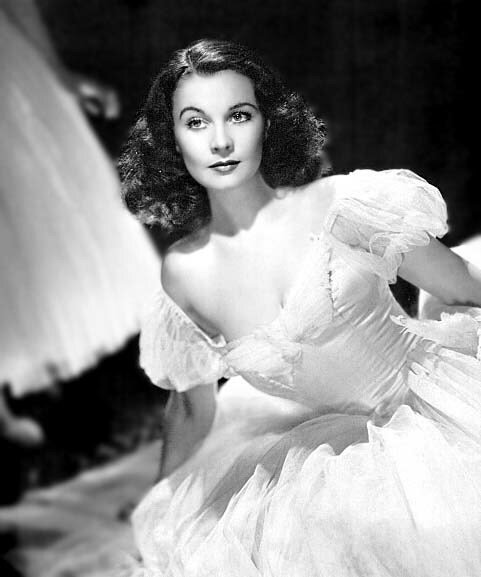 Vivien did screen tests for her dream role. and she was signed for the coveted role of Scarlett O'Hara. helped create the success and popularity that would never cease,even today, six decades later. working on Pride and Prejudice. in Waterloo Bridge or take the lead in Pride and Prejudice. as long as she could work with Olivier. signing on to Waterloo Bridge without him. were held in the Ambassador Hotel in Hollywood. her name was announced for best actress. consecutively for 4 years in London. a different side of the actress, not just another variation on Scarlett. on stage in New York with Olivier directing and co-starring. that was thought as a suitable propaganda vehicle for US-Britain. working together on the set of That Hamilton Woman. (Lady Hamilton) was released in America in July 1941.
notably because of her success in Gone With the Wind. This unfortunately would be the last time the Olivier's made a film together. to outstanding reviews and high acclaim for Vivien's portrayal of Sabina. acknowledged her as a gifted actress on stage and screen. to cinema after 2 years, play a role she very much desired. a woman's disintegration into madness. and began work on the film version of A Streetcar Named Desire. and drastic lighting which would hide her still beautiful features. that played Scarlett so exquisitely a decade earlier. from the New York critics . Elephant Walk opposite Peter Finch. The film itself was not commercially successful once released. called "The Roman Spring of Mrs. Stone." 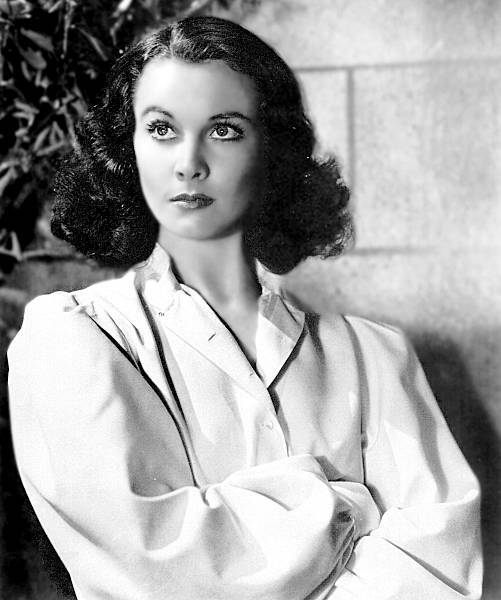 and Vivien wore a graying light blonde wig for her role. to the screen in a new and impressive light. would be her final film: " Ship of Fools " . So with her new status as a "star"
as Hollywood called her, "The Love Goddess". 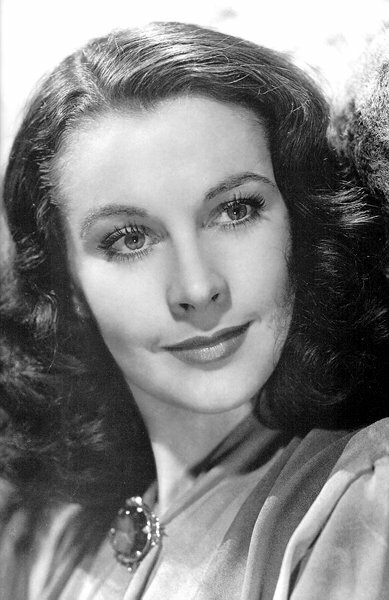 She had begun her reign as the queen of Columbia Pictures. the all-star cast movie, Tales of Manhattan. and footprints in cement in the forecourt of Grauman's Chinese Theater. Fred Astaire for the classic musical, You Were Never Lovelier. Rita one of their favorite pin-up girls. On May 27, 1943 shooting began on Rita's next film, Cover Girl. 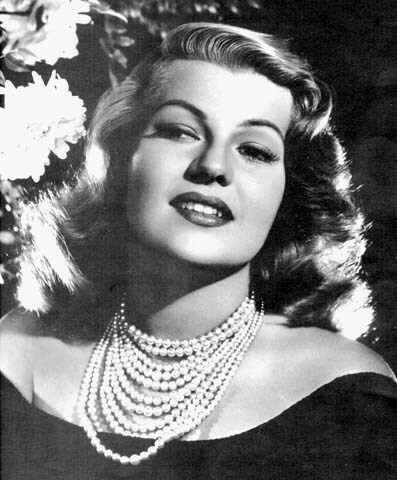 that has become synonymous with Rita Hayworth, Gilda. caused a problem with the censors who called Rita's dance a "striptease". Actually, all she takes off during the dance is one glove. that was tested on Bikini Atoll on July 1, 1946.
that the public continues to have today. so of course it was a box-office smash. written, directed and co-starred with her in, The Lady from Shanghai. Hayworth fans these days, including myself, love. The Loves of Carmen was produced by it. "Affair In Trinidad" . She was every bit "The Love Goddess" on the screen. siren of the film's title. after her next film "Miss Sadie Thompson." to fulfill her contractual obligations with the studio. "Bewitched, Bothered and Bewildered" number. Nevertheless, Pal Joey turned out to be Rita's last musical.